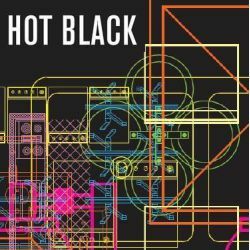 Hot Black is an interior design consultancy based in Melbourne’s CBD, Australia. The metamorphosis of an idea into a physical space is what excites us and close client collaboration keeps us invigorated. And of course every new project brings new opportunities. In short, we love what we do. We have developed partnerships with like minded creatives representing a broad range of disciplines both within Australia and abroad. We ensure each project utilises a specific team to meet specific project needs. By developing intelligent strategies and design solutions we reflect our clients’ brand personalities and business objectives. We specialise in commercial interior design via Workspace, Buyspace, Eatspace, Blurredspace and Smallspace. We also do Homespace though this not a core offering. We are a boutique firm. As such we have a hands on approach to the entire process — from the blue sky thinking and concept generation through to the technical drawings, the project management, furniture selection and signage. We feel that a small team offers a more personal and informed relationship. This translates as a flat structure where at any one time anyone in the studio will know the status of a job. There are no multi-level hierarchies and the resultant time lags at Hot Black.